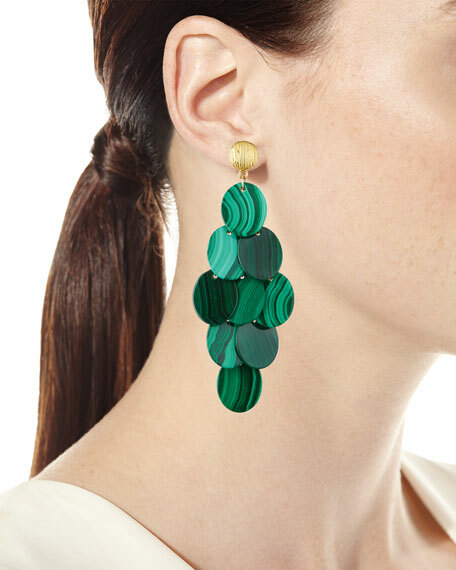 Cluster earrings by NEST Jewelry. 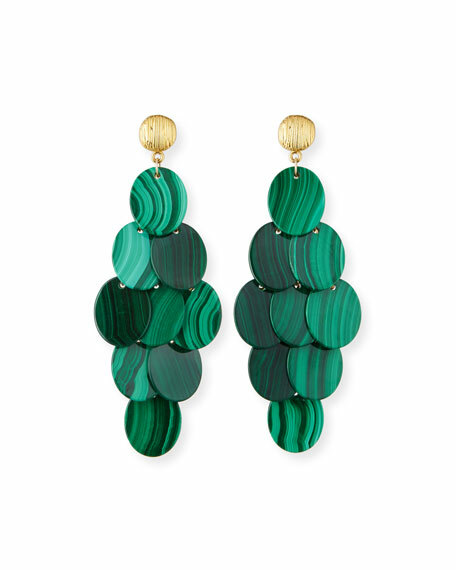 Dina Mackney multi-stone drop earrings. Polished yellow golden hardware and wire. Square, round and pear-cut stones in bezel settings. Lemon citrine, Brazilian blue topaz, and mother-of-pearl doublet. Approx. 2.5"L x 0.3"W. Made in USA.